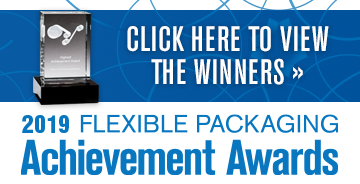 Flexible Packaging is looking to feature individuals that are making the flexible packaging industry tick! One of the things that makes the flexible packaging industry so great is the people. And while you can find profiles of various converting and printing companies in the pages of Flexible Packaging each month, we also want to feature the people that make the industry tick. Yes, the CEOs and high-level executives are the face of each company, but we want to share the stories of some of the more unsung heroes in converting and printing. We're talking plant managers, line and press operators, extruder operators, graphics coordinators and more. If you know of a deserving professional, fill out the information requested below, or contact Flexible Packaging editor Eric Fish at fishe@bnpmedia.com or 248-786-1667. Fill out the information requested below and, if available, attach a high-resolution photo of the professional . Be sure you have a few minutes to complete the short form, as you will not be able to save your information and come back. Once completed, make sure to click the "submit" button. 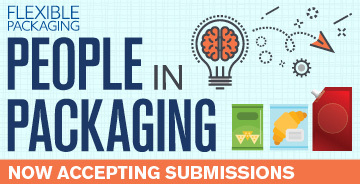 To be eligible for People in Packaging recognition, individuals must currently work in the flexibile packaging industry and have at least one year of experience in the field. Individuals may not nominate themselves.